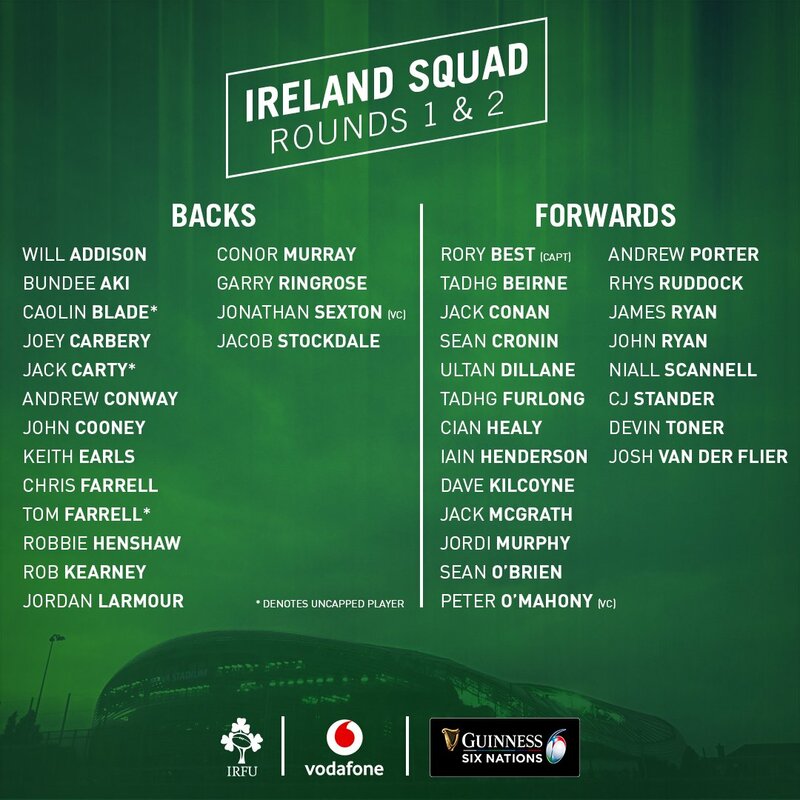 Ireland 6N Squad announced this afternoon. Any of the Ulster lads called up will not be available for the Treviso game on Friday week as Joe is setting up camp in the Algarve from Monday-Friday next week. Best, Henderson, Murphy, Cooney, Addison and Stockdale included. “That made me feel very special and underlined to me that Ulster is more than a team, it is a community and a rugby family"
Ulster must have the strongest squad in the Pro 14 to select from during the international window. UlsterNo9 wrote: Ulster must have the strongest squad in the Pro 14 to select from during the international window. I have my own tv channel, what have you got? Caught yeah I'm a bluenose. The journey had to end at some point. Denying you've got mexican family? We might get a few back for matches. Best and Stockdale would be the ones that would certainly be gone. If you read social media Hendo won't get a look in. According to online experts: James Ryan is the best second row in the world. Toner could have been in the NBA and hasn't lost a lineout since 1997. Beirne should be the first name on the teamsheet. Dave wrote: We might get a few back for matches. Best and Stockdale would be the ones that would certainly be gone. If you read social media Hendo won't get a look in. Connacht fans will be delighted they got 4 of their backline in the squad, but at the same time Blade, Carty, Farrell and Aki could all miss a big Conference A game away at Cardiff next weekend. Or to put it another way, no matter what squad is selected you will have provincialists whinging that too few or too many of their guys are selected. It is a man's own mind, not his enemy or foe, that lures him to evil ways. Oh and I say yet again these extended squads are only w-nk. Don't care until matchday squads are selected. You a into the bargain? No plan survives the first contact with the enemy! Location: second barrier up, at the half-way line ... or is the third?